Self closing suction cups with slot head: Suction Cups Direct. Suction Cups with Slot Head. 47mm x 500 bulk box. Suction cups with slot head fix to a flat, clean, dry, slick, shiny, non-porous, non textured surface like glass, mirrors, glossy plastic or glazed ceramic tiles etc. 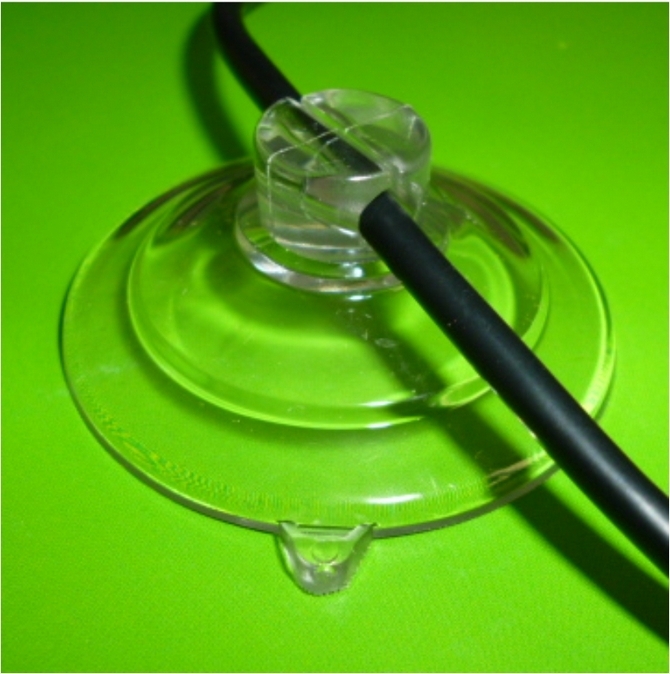 Each Adams 47mm suction cup is rated to hold 3 pounds (1.36kgs) in weight. See Terms and Conditions for slot head exceptions with weight ratings. The space through this suction cup is approx. 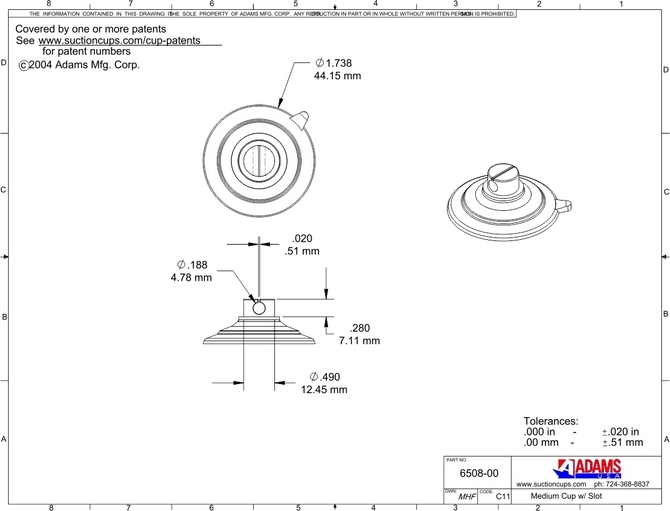 4.78mm in diameter - please see the technical drawing and note the tolerances on the dimensions.